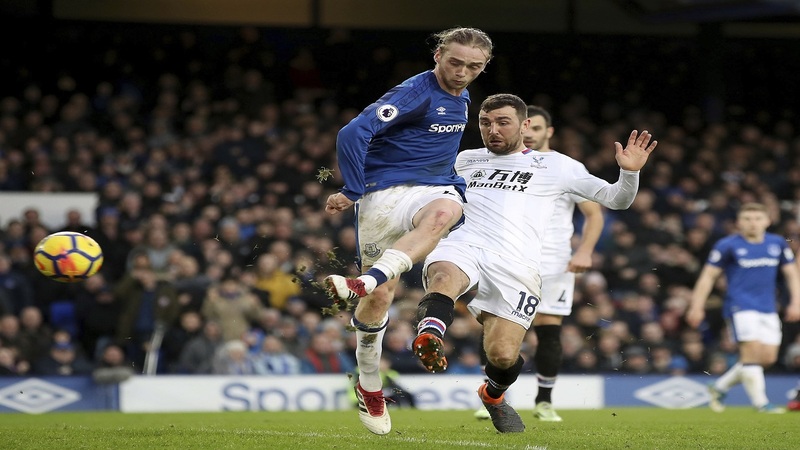 Everton's Tom Davies scores his side's third goal of the game during the Premier League football match against Crystal Palace at Goodison Park, Liverpool, England. Saturday Feb. 10, 2018. Sam Allardyce won the clash of former England managers as Everton beat Roy Hodgson's Crystal Palace 3-1 in the Premier League on Saturday. 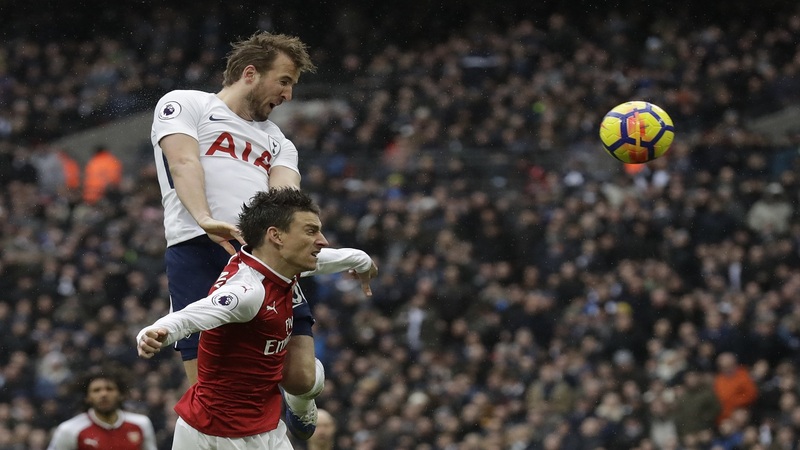 Gylfi Sigurdsson, restored to the starting lineup along with Wayne Rooney after the shambolic 5-1 drubbing at Arsenal, and Oumar Niasse scored early in the second half with Tom Davies adding the third. 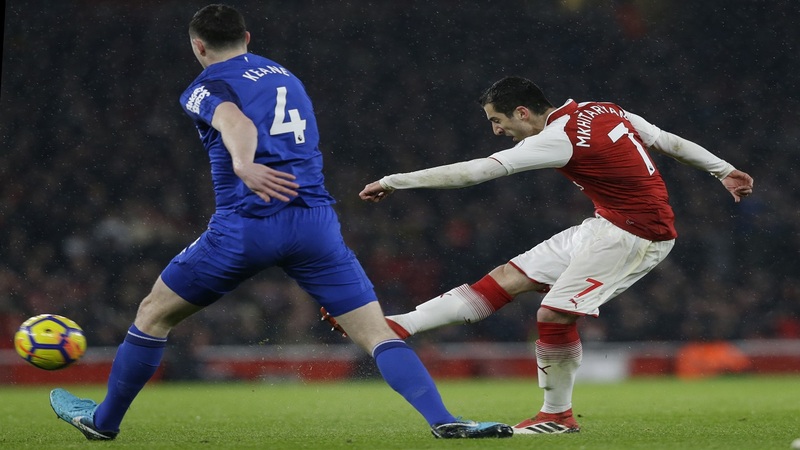 Luka Milivojevic netted a consolation penalty for Palace, which is three points above the relegation zone. Everton are four points better off in 10th place after enjoying a revival under Allardyce. Allardyce served one match as Hodgson's successor as England manager in 2016 before being fired over unguarded comments to an undercover reporter. Hodgson led England at the 2014 World Cup and two editions of the European Championship. OVER AT THE bet365 STADIUM: Charlie Adam had a late penalty saved as relegation-threatened Stoke drew 1-1 with Brighton. 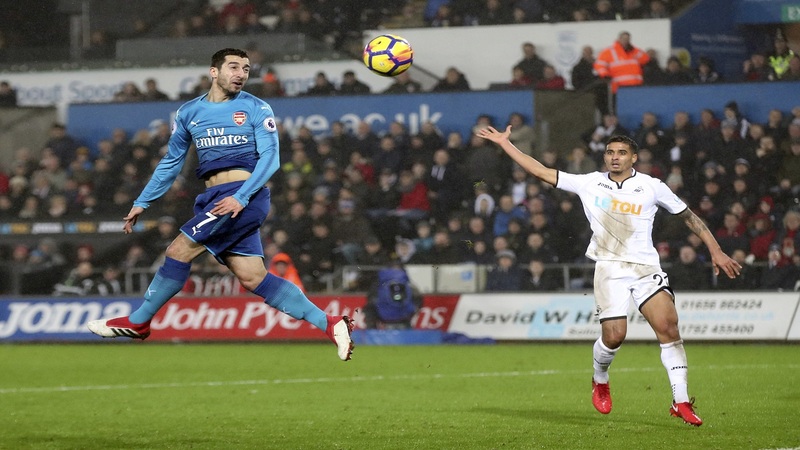 With Jese appearing annoyed not to be taking the penalty, Adam saw his effort from 12 yards (meters) kept out by Brighton goalkeeper Mat Ryan. Xherdan Shaqiri's strike in the 68th minute canceled out Jose Izquierdo's 32nd-minute goal for Brighton. After Adam's fluffed penalty, Mame Diouf had another chance to grab all three points for Stoke with a stoppage-time header but it was cleared off the line by Anthony Knockaert. Stoke remained in the relegation zone, while Brighton are three points better off. OVER AT THE LONDON STADIUM: Javier Hernandez and Marko Arnautovic were on target as West Ham secured a crucial 2-0 win over Watford to ease the London club's relegation fears. West Ham moved level with Watford five points clear of the English Premier League drop zone. The victory, and performance, proved just how far West Ham has come under David Moyes, whose first game in charge was a dispiriting 2-0 defeat to Watford in November.